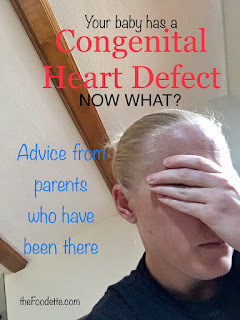 theFoodette & Family: CHD Diagnosis- Now What? 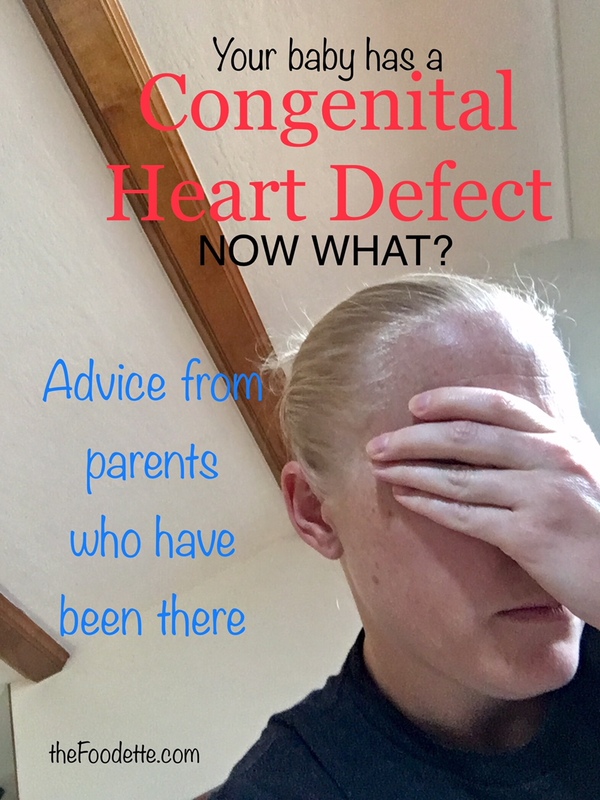 When we got our CHD diagnosis I had no idea what to do first. None. I hate Dr.Google and did not let myself or my husband Google our diagnosis until we had seen the specialist for confirmation. I didn’t want to spend the weekend reading horror stories and get myself worked up for something that wasn’t a 100% certainty. When we did start Googling, honestly, I didn’t find much that was exceptionally helpful. I wish I had come across some sort of resource that had given me some instruction! I just wanted someone to tell me exactly what to do! While we were in the hospital I realized that with this platform I could create exactly what I wished I would’ve had just 12 short months ago! So here we are. I polled some fellow heart momma friends on what their reactions were when they got their CHD diagnosis. I also asked them to share with me what, if anything, they would have done differently knowing what they know now. Here are their responses. Every. single. answer. began with this word. Most said “ugly cry”. So go on, CRY! Grieve for days if you need to. The news you were just handed is life changing and there are so many unknowns. It’s okay to scream, it’s okay to be angry, it’s okay if you need to punch a pillow or throw something (just please don’t hurt yourself or the baby!). Educate yourself as soon as possible. In the beginning, I remember feeling so overwhelmed and thinking that I would never be able to understand it all. It’s a lot to take in at once, no matter what your diagnosis. The more you can research and learn before your baby is born, the better all around. Research your specific diagnosis but also hospitals and surgeons. Schedule tours, talk to cardiologists, schedule a meeting with a surgeon or two if you can! Holy cow, insurance can get complicated quickly. Get on the phone with your insurance provider and get a case manager as soon as possible. This is the person who will follow you and your child. They can help you understand what is and is not covered, deductibles, co-pays, etc. etc. etc. They are your go-to for any and every insurance question. Also, every time you speak with your case manager you should write down the date and time you spoke along with notes from the conversation and any important names or phone numbers they give you. You will be glad you have this documentation, trust me! There is absolutely nothing wrong with getting a second opinion! This is a HUGE, life-changing diagnosis and both you and your baby deserve to have the correct diagnosis as soon as possible! Thank God for social media, am I right!? Facebook alone brings people all over the world together and with Facebook groups, we can join groups like TCH Heart Families or the HLHS Facebook group and we don’t feel so alone on this journey. I didn’t join any of these groups right away and that is one of my regrets. These Heart Families have the knowledge, experience, and an abundance of empathy and compassion because…. they know, they get it. And to be honest, until you’re living it, you don’t know… you don’t get it. You can’t. Even if you have the most fabulous insurance on the planet you are going to need some extra funds… soon! Hospital expenses add up quickly, plus there will be travel expenses, and in most cases, families who have to temporarily relocate to be close to their hospital will have to rent an apartment and pay utilities. It all adds up fast! Shelbie said “We started saving money. Like every penny we could. We were already doing Dave Ramsey but doubled living expenses is no joke. Hospital living is expensive. Insurance for sick kids is expensive. We didn’t make a huge dent but it helped somewhat….. still feel like we are recovering financially 3 years later”. Your baby needs you. You are now not only their parent(s), you're their greatest advocate. Above all else you need to be strong, steady, and full of love for your bundle of joy- and trust me, you may not think you'll feel joy over this child right now, but you will. So Much Joy. Remember, you've been chosen to enter this world of Heart Parents because you are strong enough to do it!